Common injuries from these particular sporting activities include everything from bruises, cuts and scrapes, and open wounds – to more severe injuries such as sprains, fractures, broken bones, concussions, and other head injuries, which can sometimes have a life-long impact, and in some cases can even lead to death. Unfortunately, one of the biggest reasons why these injuries occur is due to the fact that individuals aren’t taking the necessary precautions to prevent them from happening in the first place. For example: Wearing protective gear. While the type of gear required fully depends on, helmets are the most common type of protective gear that individuals should be wearing – whether it’s when you’re cycling, horseback riding, on an ATV, or playing other sports like hockey, baseball, or football. It’s also good to make sure the helmet you’re wearing fits you properly. If it’s too big, then chances are it will fall off. A helmet should fit snugly but still feel comfortable. To prevent things like bone fractures and breaks, you should also be wearing padded gear – such as wrist pads, elbow pads, and knee pads. Mouthguards are also commonly worn in contact sports (football, hockey, lacrosse) to prevent your teeth from being knocked out or damaged. If you’re someone who hasn’t played sports or exercised in a while, you’ll want to loosen up your muscles beforehand. This is known as warming up. A warm-up can consist of a light jog, or by doing some stretching. If you already happen to be injured, then the aforementioned physical activities are ones you’ll want to avoid until you are healed. Engaging in physical activity while injured can actually make your injury worse and set you back several weeks or months, and will also make you susceptible to re-injury in the future. To get your body back to where it needs to be, some things that may help speed up the healing process is by taking over-the-counter medications, such as NSAIDs. Inflammation commonly occurs as a result of injury, and NSAIDs (such as Advil) can actually help reduce that inflammation and relieve pain. In addition, applying ice to the injured area in 10-minute intervals can also help with pain and any swelling that may have developed as a result of your injury. Seeing a physiotherapist can also help in terms of mobility. While injuries aren’t always 100% preventable, things like helmets and padded gear can significantly reduce the severity of the injury and even save your life. As it turns out, eating an apple a day might actually keep the doctor away. Along with other fruits, apples are some of the best fruit that you can incorporate into your diet as they pack a big antioxidant punch (and are also rich in flavonoids and dietary fibre) and provide a wide range of health benefits. Antioxidants are good for you because they can reduce the risk of things like heart disease, cancer, and other conditions that can develop as a result of aging. 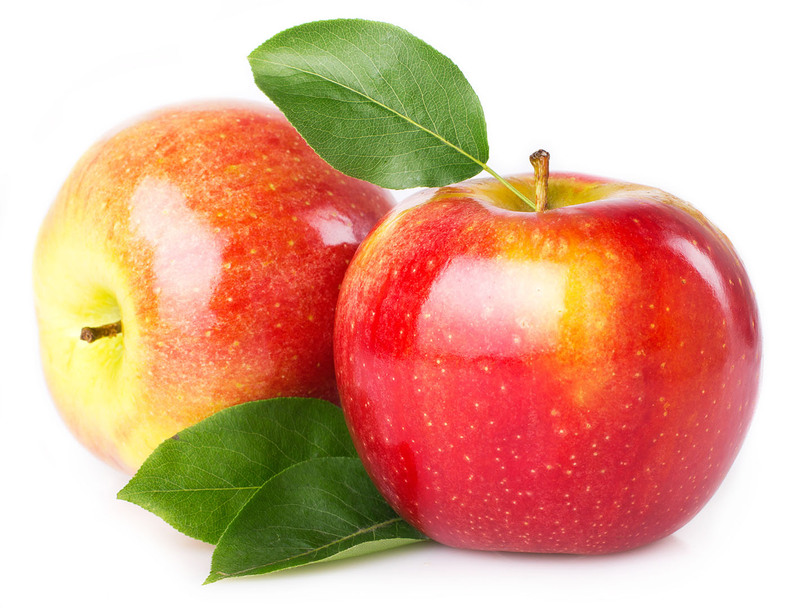 In this article, Dr. Ali Ghahary breaks down just how apples can improve your quality of life. Throughout this article you will also find links to information on how consuming other fruits and vegetables can be of benefit to you. The number one question that Dr. Ghahary is asked by patients is “How can I lose weight?” While exercise certainly plays a big role when it comes to weight loss as well as maintaining a healthy weight, diet is also crucial. What you put into your body matters. If you eat a lot of sweets, carbohydrates (such as pasta, bread and pastries), or fatty foods, you’re more likely to gain weight as opposed to lose it. Instead, you’ll want to make healthier choices. To start, you should increase your intake of vegetables and fruit, including apples. In 2014, a group of researchers from Washington State University analyzed how the compounds of 7 different varieties of apples (including Gala, Granny Smith, Golden Delicious, Red Delicious, Braeburn, Fuji and McIntosh) affected gut bacteria. Their findings, which were published in the Food Chemistry journal, suggested that apples may help prevent obesity as well as any of its associated disorders. Another study done in 2008 by scientists from Cornell University in New York, as well as scientists from Korea, suggested that apples may protect against neurodegenerative diseases such as Alzheimer’s and other types of dementia. Through an MTT reduction test, their research found that the phenolic phytochemicals found in apples prevented a significant number of cells from succumbing to oxidative stress as a result of neurotoxicity. You can learn more about the link between oxidative stress and Alzheimer’s disease by clicking here. According to a study done by Florida State University, women who consumed apples every day were found to have reduced LDL cholesterol levels by as much as 23%, and a 4% increase in their HDL cholesterol levels. In addition, they were also found to have had reduced levels of C-reative protein and lipid hydroperoxide. A study that involved almost 200,000 individuals found that those who consumed three servings of apples per week (as well as grapes, blueberries and pears) lowered their risk of developing type II diabetes by as much as 7%, as opposed to those who did not consume apples or the other aforementioned fruits. For more detailed information on what makes apples so good for you, as well as more nutritional information, click here. If you’ve ever suffered from heartburn, then you most likely have a condition known as GERD. GERD (also known as Gastroesophageal Reflux Disease), is a condition that occurs when acid refluxes back up into the esophagus. Almost a quarter of the Canadian population suffers from Gastroesophageal Reflux Disease and experiences heartburn on a daily basis. The number one cause of Gastroesophageal Reflux Disease is lifestyle; from the food you eat, the beverages you drink, to other lifestyle factors. 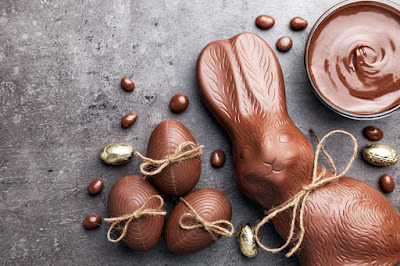 Common foods that cause heartburn include citrus fruit, garlic, raw onions, chocolate, tomato sauce, mints, fatty foods, spicy foods; condiments such as vinegar, mustard, and ketchup; drinks such as coffee, tea, pop, and fruit juice. Many of these foods are known to relax the esophageal sphincter which then triggers the stomach to produce more acid. If you are a smoker, overweight, don’t get enough sleep, or find yourself is stressed and/or anxious on a regular basis, you are also at risk of developing GERD. As mentioned heartburn is a classic symptom of Gastroesophageal Reflux Disease, as well as one of the most common symptoms associated with this disorder. Heartburn is usually described as a burning sensation near the breastbone and it often occurs after eating. If you bend or lie down the sensation can worsen. In addition, you may also experience regurgitation. Depending how long you have heartburn and how severe your symptoms are, this could cause Long term injury to the esophagus. Similar to heartburn, patients may also experience something known as dyspepsia. Dyspepsia is generally characterized as a burning sensation or discomfort in the upper abdomen, and it may also cause gastric pain, burping, bloating, nausea and vomiting. 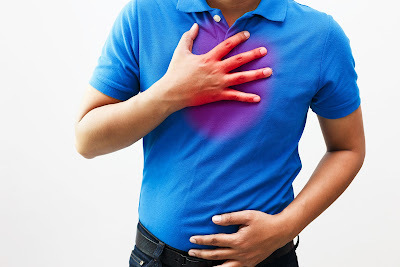 Chest pain can also occur as a result of Gastroesophageal Reflux Disorder, and is often mistaken for a heart attack given how intense the pain can be. Acid that travels all the way up to the esophagus can actually irritate the lining of the esophagus which may also cause the voice to become horse. Sometimes it will sound like you have a sore throat or are getting cold. Additionally, it is not uncommon to develop sore throat due to GERD, as well as sore or blocked ears. Another classic symptoms of GERD is that you can develop a bitter or sour taste in the month. This is due to stomach acid pricing to the back of the throat. Patients with an GERD may also develop a cough as well as wheezing. This occurs when stomach acid backsplashes into the lungs. If left untreated this could become a trigger for asthma. GERD that goes untreated for a prolonged period of time can result in swelling of the lower esophageal tissue, which may result in the esophagus to become narrow, and could result in difficulty breathing. Because lifestyle play such a significant role in the diagnosis and symptoms associated with Gastroesophageal Reflux Disease it is important that you make certain changes to reduce the symptoms of GERD as well as to prevent you from developing GERD in the future. Dr. Ali Ghahary has already told you which foods can contribute to Gastroesophageal Reflux Disease. Now, you are going to learn about which foods are best for reducing heartburn or avoiding heartburn altogether. For breakfast, oatmeal is one of the best things you can eat. Not only is it healthy, but it also helps to absorb acid. It’s also filling and does not leave you feeling hungry. Ginger is another great food to use if you have acid reflux. For decades it has been used as an anti-inflammatory, as well as to help many other gastrointestinal-related conditions. You can add ginger tea, smoothies, as well as many of your recipes. There’s also nothing healthier than the salad. Is eaten on its own, salad will not aggravate symptoms of Gastroesophageal Reflux Disease. However, as many salads come with tomatoes, onions, and dressings that are high in fat, you will want to avoid these, as these may actually worsen your symptoms. Fruits such as honeydew, cantaloupe, and watermelon are also said to be good for those suffering from Gastroesophageal Reflux Disease and reducing its symptoms. However, a small percentage of people say that these fruits actually contribute to their symptoms and therefore they must avoid them. Skinless protein, such as chicken and turkey, are also great for reducing symptoms of acid reflux, not to mention have many other health benefits. Chicken and turkey can be grilled, baked broiled, or sautéed. Similarly, fish and seafood are also great options. For more information on foods that fight acid reflux, click here. It has been scientifically proven than women tend to be healthier than men. Currently, a man’s life expectancy is around 75 years, while the life expectancy for a woman is around 80 years. Part of this is due to the fact that males make far less visits to their doctor than females do. One reason being that men simply have a much more lax approach when it comes to their health; as well as the fact that there has also been a long cultural understanding that all men are expected to be “macho,” and therefore they don’t like asking for help out of fear that it might make them seem weak or less masculine. Unfortunately, these reasons are only putting men’s health at risk. According to Dr. Demetrius Porche, Professor and Dean of Louisiana State University Health and Sciences Center, as long as men are working and productive they do not take the time to consider the risks to their health. 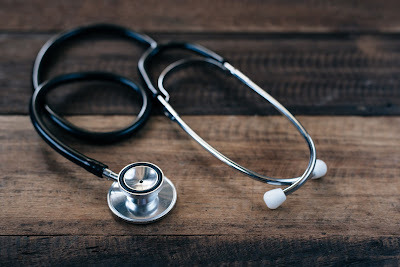 However, even if you feel healthy, you should always have regular check-ups with your physician, as certain conditions can manifest without any symptoms whatsoever, and that can sometimes make treatment difficult. Below, Dr. Ali Ghahary, a family physician in Vancouver, has compiled together a list of the top threats to men’s health, and what you can do to avoid them. Nearly 3 million Canadians live with heart disease. It’s the leading threat to men’s health, and the second leading cause of death worldwide in both males and females. Heart disease is an umbrella term used to describe many different conditions relating to the heart, such as heart failure, coronary artery disease, angina, and arrhythmias. Heart disease can also lead to things like heart attack or stroke. In order to prevent heart disease, Dr. Ali Ghahary recommends having your cholesterol and blood pressure levels checked regularly. You’re also at an increased risk of developing heart disease if you are a smoker, so you should quit. You can find some helpful smoking cessation tips from Dr. Ghahary here. Increasing your physical activity and eating healthier can also reduce the risk of heart disease and improve your overall wellbeing. The incidence of lung cancer is greater in men than women. It can be an aggressive disease, and is usually metastatic – meaning it easily spreads to other parts of the body, sometimes before it even causes symptoms or appears on an x-ray. Because of how advanced lung cancer is, it can be a difficult cancer to cure. Similar to heart disease, smoking puts you at risk of developing lung cancer. In fact, tobacco use is responsible for as many as 90% of all lung cancers that are diagnosed. There are few preventive measures that are as effective as stopping smoking when it comes to reducing the risk of lung cancer. If you’re having trouble quitting smoking despite numerous attempts, reach out to your physician for help. 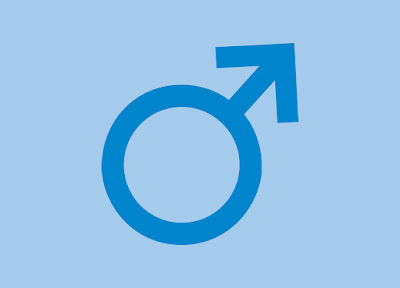 Prostate cancer is a male-specific condition, and is the most common form of cancer in men aside from skin cancer. Last year, over 21,000 Canadian men were diagnosed with prostate cancer. On average, 58 men are diagnosed with prostate cancer every day, while 1 in 29 will die from it. Prostate cancer can be slow-growing and unlikely to spread, or it can be aggressive. During its early stages, prostate cancer often doesn’t present with any symptoms. However, symptoms that can develop include burning or painful urination, difficulty urinating, frequent urges to urinate, loss of bladder control, and blood in urine. You can find much more information on men’s health by visiting www.alighahary.ca. Unfortunately, many of us take our ability to be able to communicate for granted; that’s why throughout the entire month of May, Canadians are using the hashtag #communicateawareness on various social media platforms, including Twitter, Instagram and Facebook to promote Speech and Hearing Awareness Month. If you or someone you know has a speech-language disorder, a speech-language pathologist and/or audiologist can help to identify these disorders by helping manage speech, language, voice, swallowing, and feeding disorders, as well as work with individuals who suffer from hearing loss, tinnitus, and balance disorders. 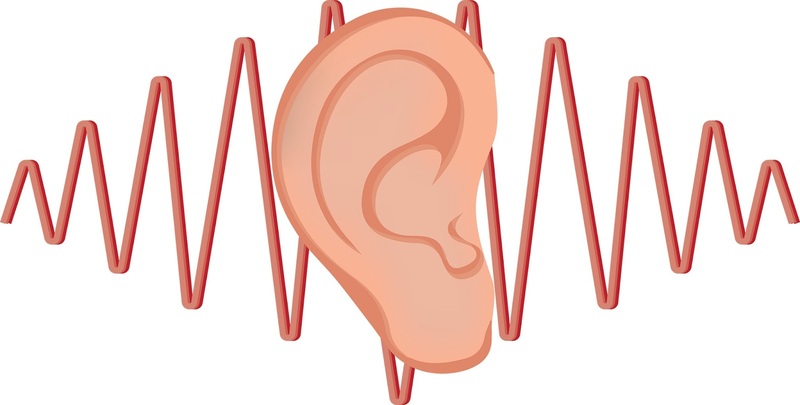 In some cases you may only need to see one type of specialist, while others may need to see both a speech-language pathologist and audiologist for the best care. When it comes to getting involved in 2018’s Speech and Hearing Awareness Month, there is lots you can do to spread the word. Before posting on social media, think of the message you want to communicate. What’s most important to you? Are you a health professional looking to invite others to join the conversation? Or are you someone who suffers or knows someone who suffers from a speech or language impediment? And, more importantly, what has been your experience? One of the main focuses of this year’s campaign is to not only communicate awareness, but make others aware that there are many different ways to communicate – whether it’s through social media, written word, photographs, or even sign language. Visit speechandhearing.ca to learn more about Speech and Hearing Month and to find out the different ways in which you can get involved, as well as an array of resources to help get you started. Throughout the month of May, various health professionals and health organizations are spreading awareness about bladder cancer as part of Bladder Cancer Awareness Month. According to Bladder Cancer Canada, an estimated 9,000 Canadians are diagnosed with bladder cancer each year, and it’s the 5th most common cancer in the country. While some of these risk factors cannot be changed – such as family history and genetics, race and ethnicity, age and gender – there are certain steps that you can take to help prevent bladder cancer, such as quitting smoking, avoiding or limiting exposure to industrial chemicals in the workplace, and drinking plenty of water. Some studies have also suggested that including more fruits and vegetables in your diet can not only prevent bladder cancer, but also reduce your risk of other cancers. It is worth noting that sometimes, patients with bladder cancer may experience none or very few of these symptoms. These symptoms are also not 100% indicative that you do have bladder cancer, as these symptoms are also common in urinary tract infections and other medical conditions that are non-cancer related. When it comes to any type of cancer, early detection is key in order for treatment to be successful. One of the most common screening tests for bladder cancer is via a urinalysis. A urinalysis can test for blood in the urine. Typically, blood that is found in the urine is often caused by a benign condition, such as an infection, but large amounts can also be the first sign of bladder cancer. If it is suspected that a patient might have bladder cancer, some newer tests can also be performed to look for cancer cells/tumour markers. For example, things like chromosome changes, the presence of substances such as mucin and carcinoembryonic antigen (which are commonly found on cancer cells), as well as high levels of the protein known as NMP22. Family physicians like Dr. Ali Ghahary will often recommend regular bladder cancer screening tests for patients that are considered high risk. Treatment is dependent on the stage of the cancer, but can include chemotherapy, radiation therapy, immunotherapy, intravesical therapy, as well as surgery. Sometimes a patient may need to undergo a combination of different treatment methods, which will be decided by your team of medical professionals – including radiation and medical oncologists, as well as urologists. When it comes to taking care of our overall health, sometimes we want to keep it as simple as possible. If you’re one of those people then you’re in luck, because there are some surprisingly simple health hacks that you can incorporate into your life to improve your overall wellbeing. You’re most likely already well aware that oranges are a great source of vitamin C and can help boost immune system and decrease the risk of getting frequent colds or flu viruses. In order to get more vitamin C, this can come by eating oranges, from freshly squeezes orange juice, or through vitamin C supplements found at your local pharmacy or vitamin store. However, a boost in immunity isn’t all oranges are good for. Studies have shown that orange oil can also help improve the mood and reduce anxiety – so if you happen to be under a lot of stress, you might want to consider adding more oranges into your diet. Nearly half of all Canadians suffer from some type of sleep disorder – including insomnia. Insomnia is when you either have trouble falling asleep or cannot stay asleep. It is considered chronic when your sleep is disrupted for 3 or more nights per week and for at least 3 consecutive months. To combat insomnia, Dr. Ali Ghahary may need to prescribe a patient with medication. However, there is one natural remedy that has been long-proven to help individuals get a better night’s rest, and that’s lavender. Lavender essential oil can be found in stores that specialize in aromatherapy and come in many different forms – such as room spray, pillow mist, and even soap. It might sound strange at first, but the 20/20/20 rule is something that is crucial for keeping your eyes healthy. Especially if you’re someone who stares at a backlit device for prolonged periods of time – such as a laptop or smartphone. The 20/20/20 rule works as follows: Every 20 minutes you are to take a 20 second break and allow your eyes to wander at least 20 ft. in distance. Doing this will reduce eye strain. To make sure you have no problems with your eyesight, Dr. Ali Ghahary also recommends seeing your optometrist for regular eye examinations. 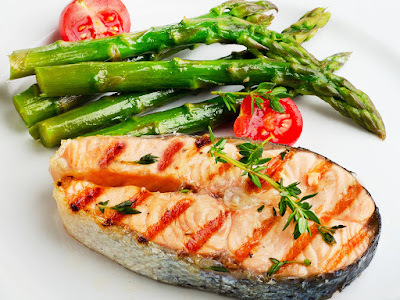 Salmon is a great source of omega-3 fatty acid, which is proven to not only improve eye healthy, but also fight depression and anxiety, promote brain health, and improve risk factors for heart disease. Omega-3 fatty acid is also a natural anti-inflammatory, so if you suffer from achy joints then consumption of salmon may not only be just as effective as taking NSAIDs (non-steroidal anti-inflammatories), but also much safer. You’ve heard the phrase “An apple a day keeps the doctor away,” but apple cider vinegar also has some incredible health benefits, including promoting weight loss, reducing cholesterol and blood sugar levels, as well as improving symptoms of diabetes. It’s also a great alternative to marinades or salad dressings. Whether you want to lose weight, are happy with your weight as is, or just want to improve your overall wellbeing, eating healthy is where it’s at. Having a diet that’s high in antioxidants, fibre, and other essential nutrients has some great payoffs not just for your immediate health, but for your future health too. Below are some of the most important reasons why healthy eating is something everyone should adopt, and how having a healthy diet can benefit you in both the short and long term. Did you know that what you eat can also affect your mental health? If you didn’t, then you do now. Foods that are processed, packed with trans-fat, sugar, or high in carbohydrates can throw off the mood-regulating chemicals in your brain, triggering symptoms of depression such as feelings of helplessness, irritability, and reckless behaviour. To combat depression, Dr. Ali Ghahary – a family physician and strong advocate of healthy eating – recommends consuming foods that contain creatine, omega 3’s, and vitamin D. These health-promoting nutrients can be found in things like grass-fed beef, fish, and dairy products. The term “brain food” isn’t just a saying – it’s fact. Over the years, consumption of foods that contain saturated and trans fats (such as fast food) can actually shrink the brain and reduce your cognitive abilities. Foods such as avocados, fish and walnuts can help keep the brain functioning at a higher level. You’ve most likely heard that breakfast is the most important meal of the day, and this is true. Eating a good, healthy breakfast every morning not only gives you the fuel needed to get you through your day, but it can also improve performance at school or work. Without breakfast, you’re more likely to feel irritable, tired, and in some cases even restless. If you’re someone who doesn’t typically eat breakfast and aren’t quite sure what to have, Dr. Ali Ghahary has compiled together a small list of some healthy breakfast ideas here. People who skip meals, don’t eat healthy, or snack late at night are more prone to developing poor sleeping habits. However, according to a 2013 study, if you eat right you’re more likely to sleep better. In addition, you’ll also make healthier food choices. Unfortunately lack of sleep can also be much more than just a matter of changing your eating habits. For more information on sleep disorders, including insomnia, click here. If you’re someone who catches colds easily, you might want to take a look at what’s on your plate. Things like sugary foods, carbonated and/or sugary beverages, processed and/or fast food are some of the worst things for your immune system, as they provide little to no nutritional value. In order to nourish and support immune function, you should consume foods that are free of additives and chemicals. Some of the best foods that can boost your immune system are those that contain vitamin C (such as grapefruit, oranges, tangerines, lemons and limes.) Vitamin C increases the production of white blood cells, which boosts your immunity and helps ward off viral and bacterial infections. Fresh garlic, ginger, sunflower seeds, poultry, shellfish and green tea are also great immune-boosting foods to consider having more of. If you’ve ever suffered from an injury – such as a back injury, knee injury, or have injured another part of your body – then you know that it can sometimes take a bit of time before your body is back to feeling like it was before that injury occurred; and, in some cases, you might never fully get back to feeling 100%. Things like pain medications, such as anti-inflammatories, and other over-the-counter products such as ointments and numbing agents, can and do provide relief, but they’re only a temporary band-aid. In the event that you do develop an injury and don’t heal within the timeframe expected, or your pain worsens, that’s where a physiotherapist comes in. Musculoskeletal physiotherapy, which is the most common type of physiotherapy today, treats things like arthritis, sprains and strains, back pain, sports injuries, workplace injuries, and bursitis. Individuals who have had surgery may experience reduced mobility post-op, and will sometimes require musculoskeletal physiotherapy as a result. Neurological physiotherapy treats certain disorders associated with the nervous system – for example, patients who’ve had strokes, spinal cord injuries, multiple sclerosis, Parkinson’s disease, and acquired brain injuries. Cardiothoracic physiotherapy is used to help treat things like emphysema, asthma, bronchitis, and other respiratory-related disorders. The main goal of a physiotherapist to improve a patient’s quality of life by restoring their function, and alleviating pain, and reducing symptoms. If the patient has a permanent injury, then they work to reduce the effects of any dysfunction they might be experiencing. The type of physiotherapy that someone will receive depends solely on their requirements. Physiotherapy can be manual, which may include things like stretching, resistance training, spinal mobilization, as well as joint manipulation, or it can also include electrotherapy techniques consisting of ultrasound, laser therapy, and more commonly, TENS – also known as Transcutaneous Electrical Nerve Stimulation. When it comes to actually receiving physiotherapy, the biggest misconception people have is that that they think they will feel better immediately following treatment, when in fact it’s not at all uncommon for symptoms to intensify following your first session. When a patient decides to enter into physiotherapy, it is usually because the methods they’ve tried themselves haven’t been successful. A physiotherapist, on the other hand, has different approach to their techniques, and they are techniques and certain manipulations that the body may not be used to, hence why it’s normal to have some discomfort during the first few sessions. Once your body starts to get used to those new techniques, the pain eventually decreases. Generally, physiotherapy sessions last anywhere from 30 minutes to an hour depending on the injury and area of the body that is being worked on. Similarly, how many physiotherapy sessions a person needs also depends on those same circumstances. For more information on physiotherapy, speak with your family physician or visit the Canadian Physiotherapy Association’s website at physiotherapy.ca. The Canadian Food Inspection Agency has issued a recall for Deli Classic brand seasoned cooked roast beef produced by Mississauga’s Erie Meat Products limited with best before dates from April 10th and April 17th . The recall was first issued back on March 28th for the same product sold at Druxy’s Famous Deli restaurants, but the CFIA is now saying that meat was sold on a much larger scale than initially thought – including in Alberta, Ontario, Quebec, Newfoundland and Labrador, with a strong possibility of it also making its way to other Provinces and Territories across Canada. The CFIA goes on to say that while illnesses have been reported, they’re still in the midst of conducting lab testing to determine just how many of those illnesses are linked to the contaminated meat. Listeria, also known as Listeria monocytogenes, is food-borne disease-causing bacteria that causes a condition called listeriosis which travels through the blood stream. It is commonly associated with things like deli meat, soft cheeses, unpasteurized milk, uncooked fruits and vegetables, and seafood that is kept refrigerated. The most common symptoms of listeriosis include fever, muscle/body aches, headache, vomiting and diarrhea. Listeriosis, in rare cases, can also cause blood infections and meningitis. In most cases, symptoms will start anywhere from 1 to 14 days after being exposed to listeria. However, in pregnant women it may take as long as 4 weeks before any symptoms develop. For otherwise healthy individuals, the symptoms of listeriosis are usually mild. However, it can be very serious for other individuals such as those with weakened immune systems, those of a certain age (such as seniors), or women who are pregnant – i.e. causing premature birth or stillbirth. In order to determine whether or not a patient has listeria, Dr. Ali Ghahary will pay close attention to the symptoms that the patient is exhibiting and will also refer them for blood work as this is generally the most effective way to make a firm diagnosis. Other bodily fluid, such as spinal fluid or the placenta, can also be tested for the detection or non-detection of listeria monocytogenes. If it is confirmed that listeria monocytogenes are present, it can be treated by one of two ways: No treatment, as most people with mild symptoms will not require any medical intervention and their bodies will clear the infection within 7 days. Or, it can be treated with antibiotics. If pregnant, prompt antibiotic treatment (usually via intravenous) can help prevent the infection from affecting an unborn baby. How long you will need to be on antibiotics depends on the severity of the infection itself. For example, in mild cases, patients may need to be on antibiotics for 10 to 14 days, while antibiotic treatment may last as long as 6 weeks in cases where meningitis develops as a result of the listeriosis. • Make sure raw foods such as poultry, beef and pork, as well as vegetables, are washed and cooked thoroughly. • Keep vegetables and uncooked meats separate from each other as well as separate from foods that are already cooked and ready for consumption. • Wash hands as well as all cooking utensils one you have finished handling uncooked foods. • Consume cooked foods as soon as possible and do not leave them sitting. 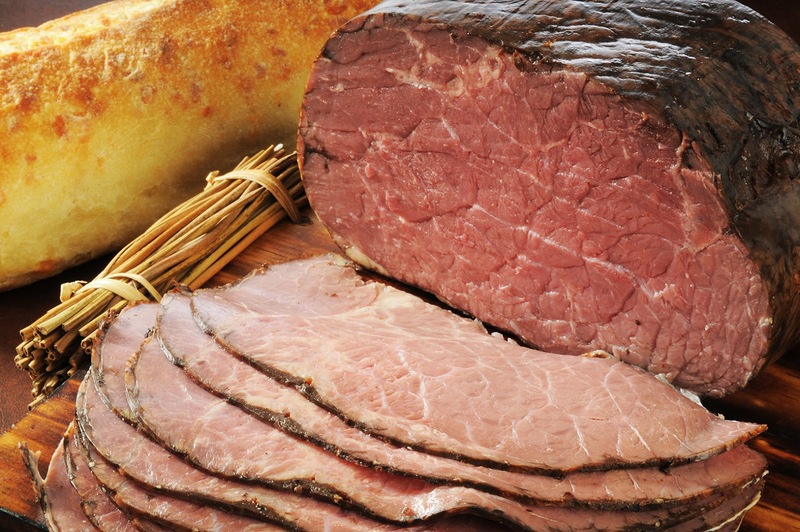 • Do not eat luncheon or deli meats unless they are steaming hot. • Avoid eating pâtés or meat spreads that have been refrigerated, smoked seafood that has been refrigerated, as well as products made from unpasteurized milk. First cultivated in a Rock Hill, South Carolina greenhouse by Ed Currie, the Carolina Reaper was certified as the world’s hottest chili pepper by the Guinness World Records on August 7th, 2013. But just how hot is it? 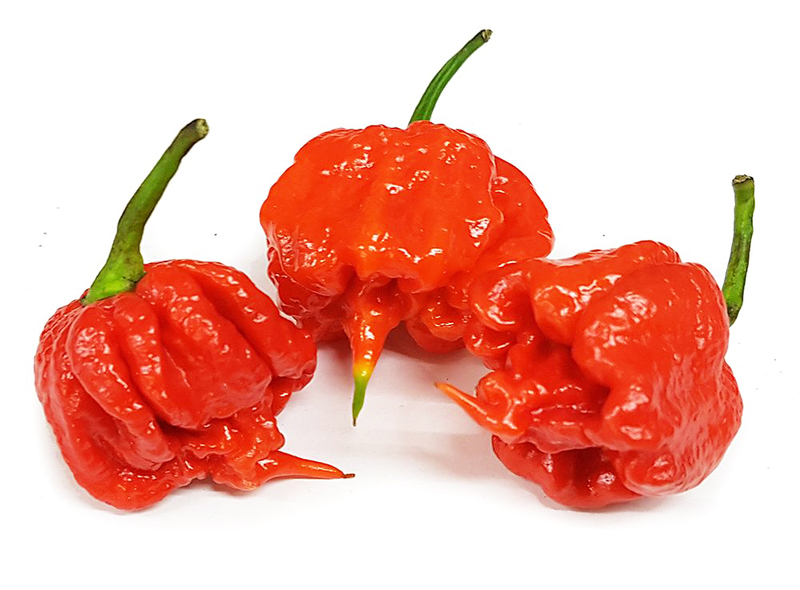 According to the Scoville scale, a pepperoncini is approximately 1,000 units on the Scoville scale and a jalapeno is approximately 8,000 units, while the Carolina Reaper is said to be more than 2 million units – with some even suggesting they’re as high as 10 million units. Regardless, they’re hotter than the average pepper. So what does it actually feel like to eat a Carolina Reaper? Like many peppers, the heat from a Carolina Reaper starts as a slow burn and may even trick you into thinking you’re out of the woods, but it eventually increases into what can only be described as feeling as though your mouth and face are on fire. Saliva production also increases, and the body will also begin to sweat. Following consumption of the pepper, the man began dry heaving almost immediately. He then developed intense neck pain as well as pain in the back of the head, which eventually spread across his entire head – but it didn’t stop there. Over the course of the next couple of days, he would begin to experience thunderclap headaches. A thunderclap headache is a severe headache in which the onset is sudden and where the pain only takes seconds to minutes to reach its maximum capacity. In many cases, a sudden and severe headache is often a sign of a medical emergency – such as a brain aneurysm – and can be fatal. Luckily this was not the case for the man from New York. However, the pain was severe enough to send him to the emergency room. After running a series of tests, the ER staff were able to rule out a brain aneurysm as the cause of the man’s headaches. They did, however, discover that arteries in his head were constricted and cutting off blood flow, and diagnosed him with a condition called Reversible Cerebral Vasoconstriction Syndrome – also known as RCVS. Its main symptom? Thunderclap headaches as a result of narrowed arteries; and while it’s a condition that has known to be happen as a result of use of certain medications like decongestants, antidepressants and illicit drug use, doctors had never before seen a case where a chili pepper was the cause of RCVS – until now. Along with RCVS, hot peppers have also been known to lead to other health problems. In 2016, a San Francisco man was sent to hospital with a 1-inch hole in his esophagus after he’d consumed a paste made out of ghost peppers. A ghost pepper is anywhere from 100 to 400 times hotter than a jalapeno, and 10 times hotter than a habanero pepper. Chili peppers can also lead to or worsen heartburn, ulcers, and can even cause the skin to become inflamed. The oils from the Carolina Reaper and other hot peppers can be difficult to get off your skin, and sometimes scrubbing your hands with simple hand soap and water won’t always do the drink. Instead, healthcare professionals like Dr. Ali Ghahary recommend washing your hands with dish soap. Unlike the average bar of soap, many dish soaps have oil-dissolving properties. Wiping your hands down with a small amount of rubbing alcohol can also get rid of the chili oil. If you’re looking to relieve your mouth and throat of that burning sensation, keep in mind that capsaicin isn’t soluble in water, so if you do drink a cold glass of water and that burning sensation is still lingering, don’t be surprised. Milk is a better, more effective option. Remember, if you experience a sudden and severe headache, don’t wait to seek out medical treatment, as it could be a matter of life or death. Call 911 or go to your nearest emergency room. For information on other types of headaches, including migraines, click here. 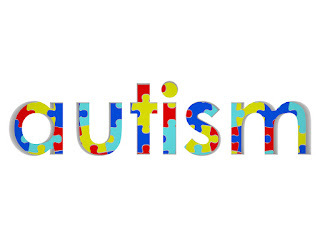 Autism Spectrum Disorder, commonly referred to as, simply, Autism, is a neurodevelopmental disorder that first occurs during childhood, which impacts brain development and causes individuals to have difficulty with social interaction and communication, and is also known for its tendency to cause repetition of specific behavioural patterns. 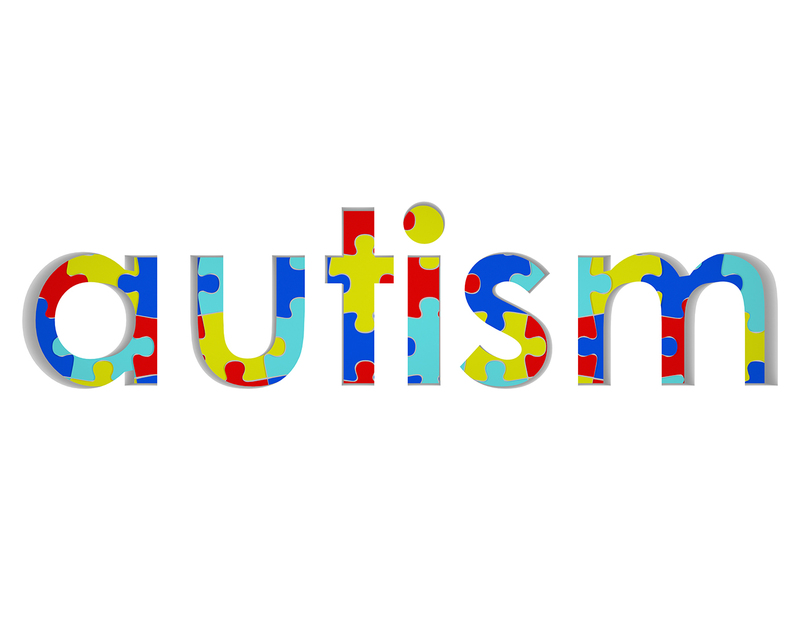 Whether it is a child living with autism or an adult, the characteristics are often similar, but may differ in terms of age of onset, severity of symptoms, functioning levels, and challenges with social interaction. In cases where the condition is mild, personality differences may be noticeable, while things like aggression and sometimes even self-injury occur in cases where the autism is more severe. It’s also not uncommon for there to be immune system irregularities, nutritional deficiencies, and gastrointestinal problems. Because of the way in which these symptoms can differ from person to person, treatment for ASD is always specific to the individual. However, despite these weaknesses, patient with autism will also exhibit many strengths such as non-verbal reasoning skills, perceptual motor skills, drawing skills, music skills, and also often have exceptional memory skills. In Canada, physicians follow a specific criteria to evaluate and diagnose ASD by using the Diagnostic and Statistical Manual of Mental Disorders (DSM-5). As an example, some of the criterial includes the following: Deficits in social-emotional reciprocity, ranging from abnormal social approach and failure of normal back-and-forth conversation; to reduced sharing of interests and emotions. Deficits in nonverbal communicative behaviours used for social interaction, from poorly integrated verbal and nonverbal communication; to abnormalities in eye contact and body language, to a lack of facial expressions and nonverbal communication, and deficits in developing, maintaining, and understanding relationships, including difficulties adjusting behavioyr to suit various social contexts; to difficulties in sharing imaginative play or in making friends; to absence of interest in peers. This is just a small example of the criteria followed. You can find a complete, in-depth copy of the manual by clicking here. As mentioned, treatment for Autism Spectrum Disorder is designed specific to the individual. Because so many other health conditions can develop as a direct result of autism, medications prescribed may include anti-inflammatories, antibiotics, anti-fungals, anti-virals, as well as psychotherapeutic medications. Diet is also often looked at as part of a patient’s treatment plan, which may include following a ketogenic diet, a yeast-free diet, or gluten-free diet. In addition to these standard treatment methods, other therapies such as neurofeedback and sensory integration can help reduce behavioural symptoms associated with autism. For more information on Autism Spectrum Disorder, visit the Autism Society of British Columbia’s website at www.autismbc.ca. When we think of dental hygiene we often consider it to be completely separate from our overall health. However, your oral health is just as important and should be treated as equally as you would with all other aspects of your health – which is why the Canadian Dental Association has designated April as National Oral Health Month. Having poor oral health can have a negative impact on your health – whether it’s missing or broken teeth, cavities, or other dental-related issues. We all need to have good dental hygiene, and that means a commitment to taking proper care of your teeth by brushing and flossing regularly. This reduces the risk of gum disease as well as prevents tooth decay, and will even leave your teeth looking whiter. Good oral hygiene doesn’t just happen at home, however. You also need to have regular visits with your dentist as well as go for regular cleanings with a hygienist. Patients will often have their teeth examined while they’re at their cleaning appointment. 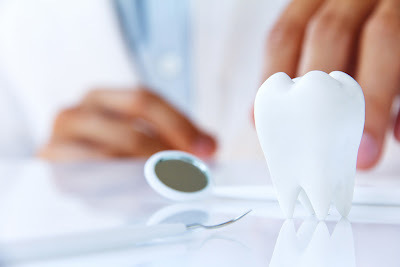 There, your dentist will carefully examine each tooth as well as take a series of x-rays to ensure there aren’t any other issues going on with the teeth – for example, if you need a root canal or if you have gum disease. Signs of gum disease include red, sore or swollen gums, bleeding gums, and bad breath. Your dentist will also be able to check for any signs of oral cancer – something that approximately 3,200 Canadians are diagnosed with each year. Signs of oral cancer include red or white patches in the mouth, small lumps or thickened areas in the mouth, open sores that don’t heal, or numbness and tingling in the mouth. In addition to brushing and flossing your teeth regularly, it’s also recommended that you eat a well-balanced diet as well as limit foods and/or beverages that are high in sugar. The less sugar you eat, the more likely you will be to develop a cavity and require a filling. Good nutrition will build strong teeth and help keep your gums healthy. Cutting back on sugar also has other great benefits for your overall health. By decreasing your sugar intake, you also decrease your risk of developing conditions like diabetes, high cholesterol, and high blood pressure. Depending on age, dental hygiene may differ for some. Children, for example, need to be taught the importance of taking care of their teeth – but they also need to be shown how to do that. There are many different ways in which youngsters can be taught – however, it can be a task for some, so it’s important to make it a fun activity that gets them wanting to do it as opposed to them feeling like it’s a chore. You can find some helpful tips, tricks and activities for children here. When it comes to seniors, they may be on certain medications that can cause dry mouth or gum problems, so it’s important for seniors to also have regular dental exams. Many seniors also have dentures – either partial or full – or dental implants. These need to be treated as carefully as real teeth would. Just as normal teeth can have a build-up of plaque and tartar, so can dentures, so it’s important to clean them every day – either by using a special dental cleanser like Polident, or by soaking them in a mix of warm water and vinegar. When it comes to dental implants, while they look like a normal tooth, they’re not as strong as real teeth would be – meaning they can break more easily. To avoid breaking or cracking a dental implant, you should avoid foods that are hard and/or crunchy. It’s also important to be gentle when brushing or flossing around an implant. For more information on National Oral Health month, visit the Canadian Dental Association’s website at www.cda-adc.ca. If you suffer from Irritable Bowel Syndrome (also known as IBS), you’re not alone, as an estimated 5 million Canadians suffer from it, while an estimate 120,000 Canadians are diagnosed with IBS each year, therefore making it one of the more common disorders of the digestive system. In fact, Canada is said to have one of the highest diagnosis rates of IBS in the world. Most individuals diagnosed with IBS are under the age of 50, though it can affect older adults as well. IBS affects everyone different. It can be a mild inconvenience for some, while for others it can be severely debilitating and have a negative impact on many aspects of their life – from emotional wellbeing, to the ability to socialize, as well as one’s professional life (i.e. work or school.) 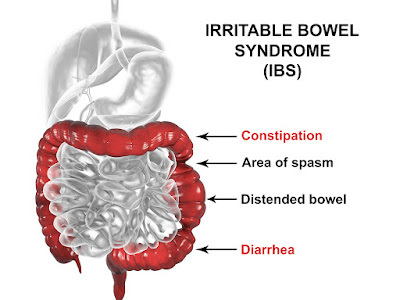 This is because symptoms of IBS can be unpredictable. One can develop diarrhea, while another may have constipation. These two symptoms may also often alternate. One of the most common symptoms that may be indicative of IBS is abdominal pain…particularly if that pain is relieved after a bowel movement. Symptoms of IBS are generally easily recognizable, so it is not a difficult condition to diagnose. In addition to the symptoms of IBS, it’s also not uncommon for individuals with IBS to also suffer from other chronic health conditions such as fibromyalgia, headaches, dyspepsia, chest pain, urinary or other gynecological symptoms, insomnia, anxiety and depression. What causes IBS is unknown, though it’s suspected that it is a result of a disturbance in which the way the gut, brain, and nervous system interact with one another. Along with paying attention to the symptoms in which the patient is experiencing, Dr. Ali Ghahary may also refer them for other diagnostic testing. These may include a blood test, stool test, colonoscopy, barium enema, and other miscellaneous tests – many of which are done to rule out any other gastrointestinal related problems other than IBS. Once a patient has received a firm diagnosis of Irritable Bowel Syndrome, it’s all about managing the symptoms. Because IBS is a chronic condition, it’s not something that can do away. There are, however, things you can to do relieve the discomfort and improve your quality of life. As abdominal pain is a common symptom associated with IBS, taking an antispasmodic or probiotic prior to meals may provide short-term relief of pain, especially after eating meals. If you suffer from constipation, taking a soluble fibre supplement may help – though in some cases you may also need to take a laxative. Alternatively, if you suffer from diarrhea, a medication known as loperamide will be beneficial. It’s also a good idea to talk with your physician about changing your diet, as this can also help with gas and bloating, both of which are also common in patients with IBS. 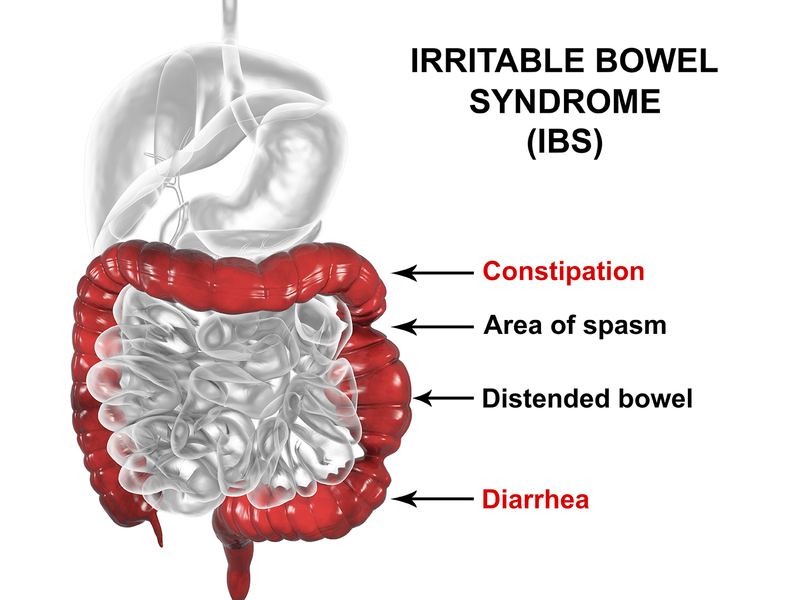 For more information on IBS, visit AboutIBS.org. Regardless of your job title, almost every position comes with potential workplace health hazards. Chemical, ergonomic, biological, physical and psychosocial are some of the most common occupational hazards that all workers should watch out for. Below, Dr. Ali Ghahary shares a more in-depth look at these hazards and what to do in the event that you experience a workplace related injury or illness. Almost every workplace has chemicals – cleaning products, in particular. However, chemical hazards can also come from things like gums our vapors as a result of wielding, gases such as propane and carbon monoxide, other flammable materials, and even pesticides. Some of these chemicals are considered safer than others and may not result in any serious harm to your health – however, in other cases, workers may be sensitive to these chemicals and can develop things like skin irritation and breathing problems. Carbon monoxide, in particular, can be extremely harmful and may even result in death if you are exposed to high levels. These hazards occur whenever there is any kind of strain put on your body. For example, lifting heavy objects, doing construction work, sitting or standing for extended periods of time, having poor posture, slips, trips or falls, and repeated movements (i.e. typing.) Even lighting that is too bright or too dim is considered an ergonomic hazard due to the impact it can have on your eyes and eyesight. 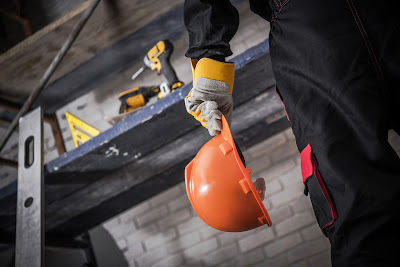 Ergonomic hazards are much more difficult to spot than other hazards, as it may take a few days for any type of bodily straight to be noticeable. As a family physician, biological hazards are something Dr. Ali Ghahary has to pay close attention to. Those who work in the medical field (such as in doctors offices, hospitals, laboratories, or as first responders) are much more susceptible to biological hazards. The types of biological hazards one can be exposed to includes blood and other bodily fluids, bacteria and viruses, mold, animal or bird droppings, insect bites, and even certain plants. These are hazards that come from the environment – such as overexposure to sunlight/ultraviolet rays, ionizing and non-ionizing radiation, extreme temperatures (hot and cold), and loud noise. In recent years, psychosocial hazards have been a hot topic of conversation. A psychological hazards can include stress due to workplace demands, lack of flexibility, and not having room to improve or grow in your career. Psychosocial hazards can also include things like sexual harassment and bullying in the workplace. For more information on workplace safety, visit the Canadian Centre for Occupational Health and Safety website at CCOHS.ca. British Columbians may also find useful information via the WorkSafe BC website at www.worksafebc.com.